Elvis Seance THE HOW TO's AND VOODOO TOO! "A REAL SEANCE FOR ELVIS"
THE WHEN'S, THE WHERE'S, THE HOW'S AND VERY REAL SEANCE RITUAL VOODOO TO! ELVIS IS HAUNTING THE BUILDING! 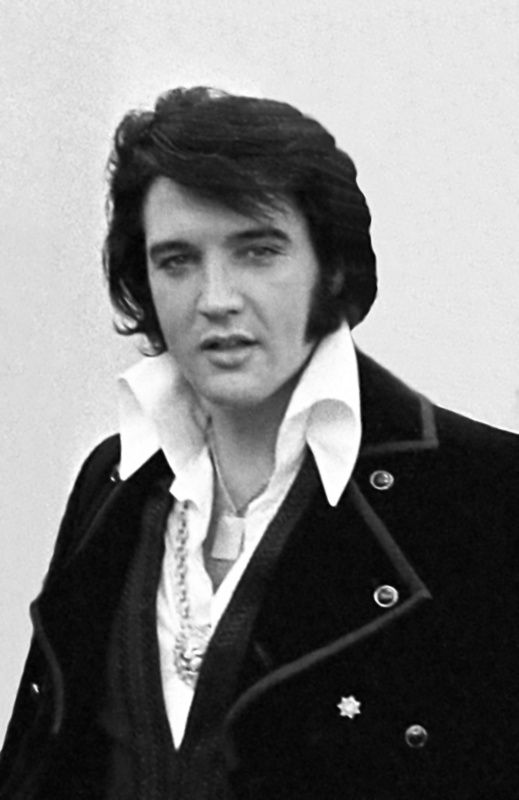 I as many have attended many Séances in my life in Nashville, and Memphis Tennessee trying to make real contact and communicate with the ghost of the true King Elvis Presley. And I can state from personal experiences that the ghost of the king of Rock and Roll is well and happy that we remember him and cherish him as we do. Everyone alive knows where they were when they heard that the most successful icon of Rock `N' Roll died. I was 22 years old and pregnant with my first child Steven Elvis Cash, who was born on the 18th of August 1977. And it was on that faithful night of August 16, 1977 that myself and several dear close friends held our first actual Seance to call him forth. We did our seance not really knowing what were doing. But we believed it worked to this day. Many psychic and mediums often fill the crouds each year at Graceland for The 2009 Elvis Week will take place from August 8 – 16 with nine days of celebrations at Graceland and around Memphis. And back in thier rooms they have tarot card reading parties and many of different ghost hunting events and Elvi's yearly countless Seances. 2009 is m arking the 40th anniversary of Elvis’ return to the stage in Las Vegas in 1969, Elvis Week 2009 will feature a concert that reunites a number of the original cast members from Elvis’ 1969 Vegas shows. The concert will take place at The Cannon Centre in Memphis on the 14th of August. It’s been said that tens of thousands of Elvis impersonators can be found in Memphis during Elvis Week, and the best of the best battle it out at the Ultimate Elvis Tribute Artist Contest. There’s a whole lot of shaking going on as the contest pits 20 Elvis tribute artists from around the world against each other on the 12th of August. The next day, the top ten will compete again for the title of the Ultimate Elvis Tribute Artist of 2009. Millions of Haitians and normal people you might not suspect in your own city or town or country practice real voodoo. And this of course they have for nearly three hundred years. In 2003 Haiti's government recognized it as an official religion. Yet many of the country's conservative christians and elites look down on the practice. The videos here should give you an understanding of how Elvis was summoned. This in no way the voodoo seance has any refulgence to the modern Victorian Seance rituals so many try to do today. Mariana Sanchez sat in on a voodoo ceremony. A warning that you might find some of the pictures in her report disturbing. But this is what basically occurs at a real Elvis Voodoo Seance near Graceland each year. Ever year it is held at a different hotel in town in secret and only a select few of his biggest fans or invited. The Voodoo Seance is usually hosted by a few fans, that will not charge you any admission for a small audience with his ghost no longer then 5 minutes. But you have to know the right people to get a personal invite. I have never attended a real Voodoo or Hoodoo ritual of any type in my life so I searched the internet looking for all I could find and it seems these videos below can give you some idea of what went on this night into the next day. After watching these videos your probally wondering what this voodoo hoodoo Ritual thing has to do with Elvis? Well just like this tonight it will happen with the actual voodoo ritual summoning of his Great Spirit of Elvis. Mambo DeéDe believes that now Elvis Is the crowned new loa, or Lwa Voodoo God of Rock N'Roll! Mambo DeéDe Is a practicing Voodoo priestess who was actually born in Memphis in Voodoo Village. Mambo DeéDe also hosts since 2006 the annual voodoo hoodoo Elvis Séances. They should be or are, on the top of the list as, the must do's when visiting Graceland on the anniversary of is death. May believe that this Voodoo Queen in particular knows how to contact all the right spook kings and gods to get his ghost into the building exclusively. Many who attend the Elvis vigil often do not know what is going back at Elvis Presley's Heartbreak Hotel in a pitch black dark low candle lit room. It is very much similar to the video above. Where a group of Voodoo hoodoo Elvis Devotees and myself have come to summon the King. With a real hot plates from home ablaze or just the re heating of pre made sandwich offerings awaits the king if his ghosts shows up. You all know its hungry ghost month and Elvis they say is the hungriest when it come to pleasing his fans and they him. Heartbreak Hotel also features four Elvis themed suites. Each is available as a one-bedroom suite (sleeping up to four people) or may be combined with an adjoining themed room (to sleep a total of eight people). The full two-bedroom suite consists of nearly 1100 square feet including a living/dining room, two sitting areas, two kitchenettes and two baths. (Three of the suites have an additional half-bath). The suites are ideal for business meetings and functions in addition to offering deluxe overnight accommodation for anyone who wants to feel special. All the room furniture has all been moved by people to another room and the number of people in this room I could not begin to count. Real voodoo drums beating and the sounds of Elvis being played on a disc fill the room and also a lot of body heat and smoke. "Please no flash photography or video is the rule not the exception we were warned before the summoning of the dead King's ritual." Mambo DeéDe has prepared herself for this summing for many weeks now and needs no distraction. The ritual itself began at 2:pm and will run as late as 6:am tomorrow morning. Many people will arrive through the night to come and visit with his spirits and we ask you the select few who wish to see the ritual from it's start to end to please be silent and reverent of what you are about to witness. But first we have to get into the mood and experience Elvis for who he is by looking at his picture or videos on youtube to put him fresh in our minds. All those who were invited to take part were told to wear white with a white head scarf as that is the color of Elvis's Ghede form. We were also told to bring him special foods and gifts as offerings and prepare at least one question each to ask of him when his ghost or great spirit arrived. Mambo DeéDe told me before she began this day, that she also has a huge altar set up dedicated just to Elvis. and that the altar set up in this room was for tonight's ritual only. She says she now believes that he has transcended and is now a lesser known Voodoo Hoodoo Deity. She believes that the Great Ghede Baron Sameidi when he opened the Gates to Guinee, he personally gave the King a special dispensation and an honored place amongst the already dead. Through her practice of the ancient divinations of Ifa, Mambo DeéDe says she has seen Elvis performing for the Great Baron and his wife Mama Bridgett, of the dead and for his many lost souls the Ghede, that love the king as much as we did. "It's like watching a Youtube Of the king from a stage in hell", states Mambo DeéDe after coming out of a deep trance that the thrown fresh Uncle Lou's Fried Chicken, chicken bones and sea snail shells, had put her into moments earlier. Now In beginning any voodoo ritual to summon the dead one must understand that this is all part of life and no one will be hurt. In Haitian , New Orleans and Tennessee Vodou, the Guédé (also spelled Gede or Ghede, pronounced [ɡede] in Haitian) are the family of spirits that embody the powers of death and fertility. Guédé spirits include Ghede Masaka, Guédé Nibo, Guédé Plumaj, Guédé Ti Malis, and Guédé Zaranye. All are known for the drum rhythm and dance called the "banda". In possession, they will drink or rub themselves with a mixture of raw rum or clairin and twenty-one habanero or goat peppers. Ghede Nibo is a psychopomp, an intermediary between the living and the dead. He gives voice to the dead spirits that have not been reclaimed from "below the waters". Ghede Masaka assists Ghede Nibo. He is an androgynous male or trans gendered gravedigger and spirit of the dead, recognized by his black shirt, white jacket, and white head scarf. Ghede Masaka carries a bag containing poisonous leaves and an umbilical cord. Ghede Masaka is sometimes depicted as the companion of Ghede Oussou. Both are bisexual. Ghede Oussou is sometimes also linked with the female Ghede L'Oraille. Ghede Oussou wears a black or mauve jacket marked on the back with a white cross and a black or mauve headscarf. His name means "tipsy" due to his love of white rum. Papa Ghede is supposed to be the corpse of the first man who ever died. He is recognized as a short, dark man with a high hat on his head, a cigar in his mouth, and an apple in his left hand. Papa Ghede is a psychopomp who waits at the crossroads to take souls into the afterlife. He is considered the good counterpart to Baron Samedi. If a child is dying, Papa Ghede is prayed to. It is believed that he will not take a life before its time, and that he will protect the little ones. Papa Ghede has a very crass sense of humor, a divine ability to read others' minds, and the ability to know everything that happens in the worlds of the living and the dead. Ghede Bábáco is supposedly Papa Ghede's less known brother and is also a psychopomp. His role is somewhat similar to that of Papa Ghede, but he doesn't have the special abilities of his brother. The Guédé Elvis as he is now called by Mambo DeéDe is for ever young in his sunglasses dressed in white sparkling suit. His favorite drink is Pepsi Cola, He likes big cigars and will often manifest himself by going into a number one top ten hit song of his when summoned. The first thing that happens when The Guédé Elvis rides a person is they push their hair into the Famous 50's pompadour and curl their lip. Mambo DeéDe told us. And of course Elvis, his ghost could and would possess or ride anyone he so chose in the room. He might even possess more then person at a time. She said, and that's just what the king has been known to do she told us. She then went on to explain to us. The Guédé Elvis image is a pair of dark sunglasses, and a guitar. He often finishes each conversation with those that summon him with "TCB... baby". You can ask him what ever you want feel free to touch him converse and enjoy your visit with him. The only rule I must make is that if an Evil spirit takes hold of someone in this room let me alone deal with it because many bad ghosts try to come because they are jealous of the high station Elvis was given ,by the head great Lwa when he died. Her preparations to call him to come to her ceremony are very complex she told me. From plucking the meat of the bones a real chicken using only your ring and little finger, and sucking the juicy marrow out the whole time with your eyes closed. You never know how far you need to go until you do it Mambo DeéDe told me in very serious tones. And to draw the great likes of dear Elvis to you, it is known that it takes more then making his favorite meal, of those nasty peanut butter, banana and bacon sandwich. They are sometimes referred to as an Elvis sandwich or the Elvis, consists of toasted bread slices with peanut butter, sliced banana, and fried bacon. Honey or just 2 heaping sprinkled tablespoon of sugar is sometimes included. The sandwich is frequently cooked in a pan or on a griddle. The recipe for the sandwich has been published in numerous cookbooks and newspaper stories. Mambo DeéDe says that if you make them during the Seance Elvis usually comes running because he can smell them cooking even in Heaven. But she tells cooking his favorite food is a good start but you will need more then that to get him to come to your table sitting. Old Lady MIss Belle is a great Medium of well known reputation round these parts. She has been communicating with the dead since she was 3 years old she will tell you. Elvis comes for his devoted fans not just to eat himself sick. My biggest question to Mambo DeéDe was what if Elvis does not enter the building? To which Mambo DeéDe replied "He will!" One way that those who participate or practice Vodou and related traditions can and do have a spiritual experience. And this is by being possessed by the lwa. That which Elvis is Considered now by Mambo DeéDe and her group. When the Elvis lwa descends upon a practitioner, the practitioner's body is being used by the spirit of Elvis, according to the tradition. Some spirits are believed to be able to give prophecies of upcoming events or situations pertaining to the possessed one, also called "Chwal" or the "Horse of the Spirit." Practitioners experience this as being a beautiful but very tiring experience. 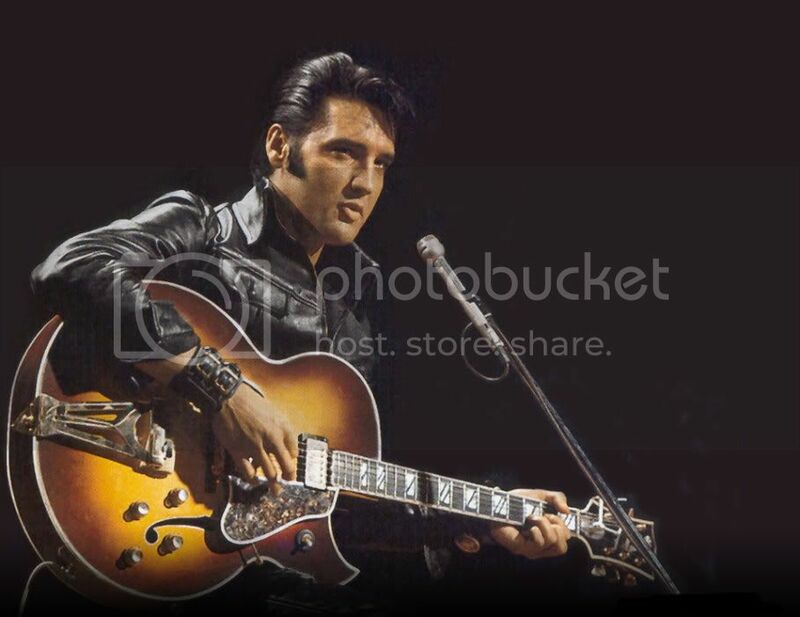 Most people who are possessed by the spirit such as Elvis' get a feeling of blackness or energy flowing through their body as if they were being electrocuted. According to Vodou believers, when this occurs, it is a sign that a real Elvis possession is in the works. The practitioner who becomes Elvis has no recollection of the possession and in fact when the possessing Elvis spirit leaves the body, the possessed one is tired and wonders what has happened during the possession. Not all practitioners or those that attend tonight have the ability to become possessed, but practitioners who do generally prefer not to make excessive use of it because it drains immense energy from them. It is said that only the spirit/lw of Elvis can choose who it wants to possess. And for the spirit may have a mission that it can carry out spiritually. And I am praying it is not me because I want to interview him. Also, it is believed in Vodou and related traditions that those possessed by the lwa probably are at a very high spiritual level such that their soul is mature and at an advanced level. A voodoo ritual, (seeming similar to the photo above), to summon the dead to come into a living person to comunaicate, are very long and drawn out. The actual riutals employeed from being blessed with a great red and white rooster as you enter the room to being subjected to hours and hours of a steady voodoo hoodoo drum and the strains of Elvis's last concert Music being played loudly. I was more then amazed when actual large amounts of real fire works were being set off in the room. And I feared that the fire deparment would be on their way imedatetly t shut us down. It is also believed in Vodou and related traditions that there are those who feign possessions because they want attention or a feeling of importance, because those who are possessed carry a high importance in ceremony. Often, a "chwal" like Elvis' will undergo some form of spirit trial or ghost testing to make sure that the possession is indeed genuine. You know we can't have a Elvis impersonators ghost stealling all his glory. As an example, someone possessed by one of the Elvis Guédé spirits, (because you can get old Elvis young Elvis and all those in betwixted possessing several people in the room at once may be offered piment, a liqueur made by steeping twenty-one chili peppers in kleren, a potent alcoholic beverage. If the Elvis "chwal" consumes the piment without showing any evidence of pain or discomfort, the possession is regarded as genuine Elvis appearence of his ghost. More to come in part 2. But when it comes to finding a real way to get Elvis Presley's actual ghost to come forth from beyond the grave there is always the other side of the coin. This is one of the Erisian Mysteries revealed to Sondra London by Kerry Thornley in 1997. Performance of the Elvis Seance requires one Elvis Presley impersonator and five gullible Discordians. Since he or she doesn't have to even be a GOOD impersonator, the real problem will be finding the gullible Discordians. We Discordians are not known for our gullibility. For example, we don't believe Elvis is still alive, as do many infidels. "Dead and rotten but not forgotten," is not only our slogan on the Elvis question, it is the mantra for the Elvis Seance, which will be revealed in the ripening of time [three paragraphs below]. We, however, believe Elvis will rise from the dead and help Bob "J.R." Dobbs and The Fightin' Jesus destroy the Trilateral Commission on Judgment Day. Moreover, every Discordian, without exception, must have a photograph of Elvis in Army uniform, as a reminder that no man is above the law; and for that reason, if no other, the law should be abolished. One. All Discordians present lay hands on the head of the Elvis impersonator. Two. Begin chanting "Dead and rotten but not forgotten," over & over until it gets boring. Keep chanting "Dead and rotten but not forgotten," after it gets boring. At some point the Elvis impersonator will fall on the floor and start jerking, twitching, convulsing. When the impersonator begins singing, "All Shook Up," know that the departed spirit of Elvis is among you. If you went to all this trouble without preparing a list of questions, and you have Elvis rolling at your feet, and you cannot think of anything to say, don't ask for his autograph either, because he will be in no condition to sign anything. We started the night talking of him and how handsome he was. We then wiped away our many tears and played our favorite Elvis number one hits trying to play a ghosts music or favorite son draws them near as we all know. We felt that no one would dare be so brazen to try to call up a persons ghosts within hours of their untimely death in fear of making his ghost earthbound. But we knew we had to try just to make sure it was not a big hoax. Health problems, prescription drug dependence, and other factors led to his death at age 42. But that has not stopped him from making the rounds at many of the secret and public spiritual gatherings held to try to make direct contact with his actual factual ghost. Oh Elvis we love you and want to know the truth. Please come to us show us your ghost! The room grew cool then cold then my friend Noreen Coffey went into a strange trance and her voice changed. I swear it was Elvis' and she said. "Wise Men say, only fools rush in!" In Elvis' distinctive voice, then the candle went out suddenly and we all ran out the room screaming!